Pfando.de – Transparency in business: A pawn loan of EUR 10,000 over a credit period of 6 months results in a monthly rate of EUR 540 and a total amount of debt of EUR 13,240. All costs considered, the overall cost for the customer will be EUR 13,240 which equals 64.8% of the amount of debt per year. The effective cost factor including all fees (annual percentage rate) amounts to a maximum of 64.8% per year. 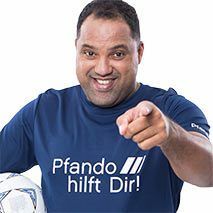 All information on www.pfando.de is principally free of charge. Enquiries will be reviewed without obligation; the handling is free of charge until the customer’s acceptance of the offer. The agency fee is only incurred after the customer’s explicit confirmation.